We’re programmed by society to follow rules even during our childhood. But not everyone succumbs to acceptance. Some people are born to be rebels. They laugh at the face of authority and enjoy being masters of their own destiny. Rebels enjoy a glorious life in third world countries where they really have a lot to struggle against. However things aren’t quiet as easy in the first world countries. In places like that, rebels are stuck defying petty signs to satiate their desire for breaking the rules. 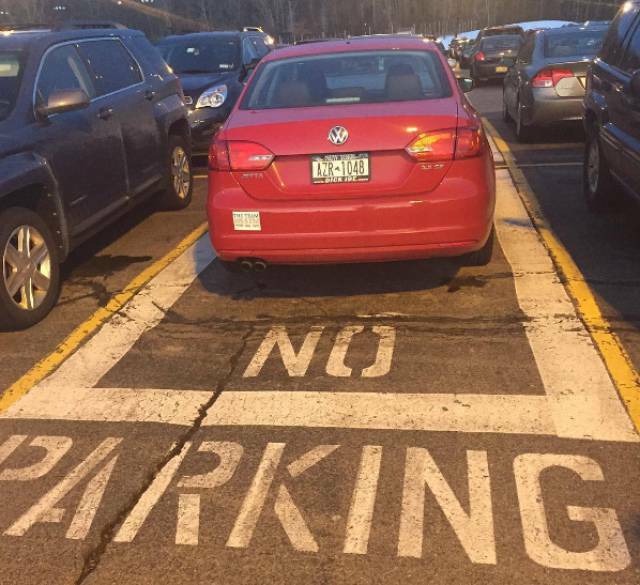 Listed in this post are hilarious photos of people who’re breaking the rules. 3 We will not conform to your t-shirt! 6 This man will not be silenced. 12 What Marina? This Marina? 18 What kind of a joke is this? 19 Where is the fuel tank? 21 What will you do about it? Tell on me? 26 Am I doing it right?